See all portraits at this Flickr page. We’re sorry to report that AdInk no longer offers this service. We simply could not get enough of a volunteer commitment to consistently offer the service. Once we know of a viable replacement service, we’ll post the information here. 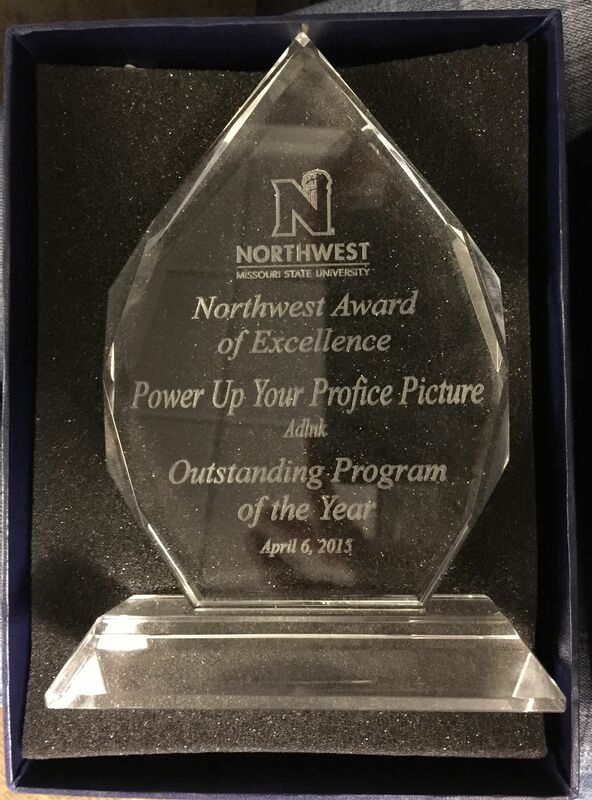 AdInk’s Portrait Service won the 2014 “Outstanding Program of the Year” award! AdCats are helping all NW students “Power Up” their profile pictures with a new portrait service, run in conjunction with Northwest Career Services’ Mock Interview Days. If you haven’t had your portrait taken yet — go to the next Mock Interview Day! The very cheap $6 fee helps AdInk support its ongoing activities. These shots of AdInk members are from Fall 2014 portrait events. See NWMSU’s news release about the portrait service.